Being a fan of Margo's work, my interest was piqued when I saw on Facebook that Margo was doing an online class through Mosaicartsonline.com. I looked into it and was fascinated to see so many courses with so many talented mosaic artists. Never having attempted mosaic jewelry in any serious way, I decided to try it out and I enrolled in Margo's class. I watched the entire course one morning and then purchased her kit from di Mosaico. I received the kit yesterday and on right is what it looks like. I chose the Medium Blue mix from the extensive mix options. The pendant blank is very shiny and pretty, although different than the kind that Margo uses. Not sure which I like better. I've got a bit of traveling coming up, so I probably won't get to this pendant until mid-August or so. At that time, I will be able to rewatch the course segments as needed. I'll be looking forward to this little project. Fine, Or Not So Fine? After my lengthy discussion yesterday, here on my blog over the course of six posts, I could not help but notice all the terms that I used to talk about mosaics: craft, fine craft, art, and fine art. This can be confusing, and it is quite likely that we would not all agree on these terms. Clearly, however, those of us who talk about fine art mosaic, and elevating mosaic to a fine art status, have some THING in mind when we use the term fine art. I thought that I would, today, talk about what I mean when I use various terms. You may or may not agree with me, but my usage is informed by my 20+ years in mosaic. That's not to say that, therefore, I am right, rather to offer that I have a valid basis for my views. In the photo above, I am hoping to illustrate the difference between fine and not fine. Both are decorative mosaic pieces, and could broadly be called decorative mosaic art. The one on the right displays a fineness that the one on the left does not. The vase on the right also displays a higher degree of skill and creative design. Further, I would say that the one on the left could qualify as craft, but not fine craft. Although, I would not categorize the one on the right as craft, fine or not. Why? Because of the degree of skill and the level of design. Is this too subjective? Perhaps. But if you can't tell the difference in quality between these two items, then it probably does not matter. Here we have two examples of decorative mosaics (well three actually, as there are two mosaic candle holders in the left photo), which can be broadly categorized as decorative mosaic art, although the one on the left could easily be called craft. The candle holders are nicely done and you could say that they are technically finely done, except that the design—if you could even call it that—is just so simple and basic that it can't qualify as fine craft. The bottle on the right, however, is quite finely done, and the demands of the design require a good degree of skill to execute. I consider this a fine decorative mosaic, and would certainly allow that it is fine craft, as well. I categorize all three of the above wall pieces as art, but they are different degrees of art. The still life on the left is art in that it is expressing a point of view. I talked about this one in What's In A Name? #5. It is not fine art because of the lack of skill, both artistically and mosaically. The mosaic in the middle, L'entrata, is a beautiful mosaic, executed with a high degree of technical skill. While it is certainly art, the question of whether or not it is fine art is a bit murky, and will have to defer to the eye of the beholder. The design, if you could call it such, is basically in service to a photograph. I know that this kind of talk can stir emotions, but I am willing to acknowledge that this issue is, indeed, an issue. And I am also willing to acknowledge the view that this mosaic may not be fine art, as fine as it is, primarily because of its not being terribly original. Regarding the mosaic on the right, Piercing the Veil, I consider this an example of mosaic fine art. Is it good enough to hang in a museum, or win an exhibition? That is not for me to decide. But it displays a high degree of technical mastery and it is a unique expression of an idea and a point of view. From where I was as an artist when I made this piece, this was a sincere attempt to communicate an idea with the highest degree of skill that I possessed. I call it fine art. Now, you may not agree with my conclusions about the pieces that I've used as examples. That's not the point of this post. I'm just hoping it will contribute to the discussion. Still with me? Because if you're not, I'm just having a conversation with myself. Nothing new on that count. So what is the above mosaic all about? Well, I was at a loss as to what might be useful for this final post, so I just chose one of my favorite things that I have ever made. Fine art? No way. It is a nice little piece of art, in my opinion, but perhaps just barely art. I made six of these in 2012, each one a bit different, but extremely similar. So, are they art? If not, what are they? Craft? Like a lot of things that we create, it may be somewhere in the middle. As I behlold this, I will tip the scale on the art side. It exhibits a fair degree of mosaic skill, and I think that the sky is more than just a bit crafty. But, does it have a deeper meaning? Express a point of view? Make a statement? No, no, and no. Maybe it's just floating around in that no-person's land of crafty-art or arty-craft. To this beholder—me—it's a little piece of art. I've tried to be very tactful in this series of posts, as I know this can be a touchy subject for some people. Maybe it seems that I have kind of danced around the topic, but I've meant to use examples and my own personal experience to make some points. Too subtle? Well, I can remedy that. Over the years, I've spent many hours visiting other mosaic artists' websites. I italicized mosaic artists because the term is as pesky as mosaic fine art. Just because someone calls his/herself a mosaic artist, does that mean that they are? Just because they call their work fine art, does that mean that it is? From a lofty distance, we can take refuge in saying that it's not up to us to answer those questions, that it is all in the eye of the beholder. But for the sake of this discussion, my answer to both of those questions is emphatically NO. Are you clear on what your work is, and on what your work is not? On the degree to which your work is craft, fine craft, art, or fine art? 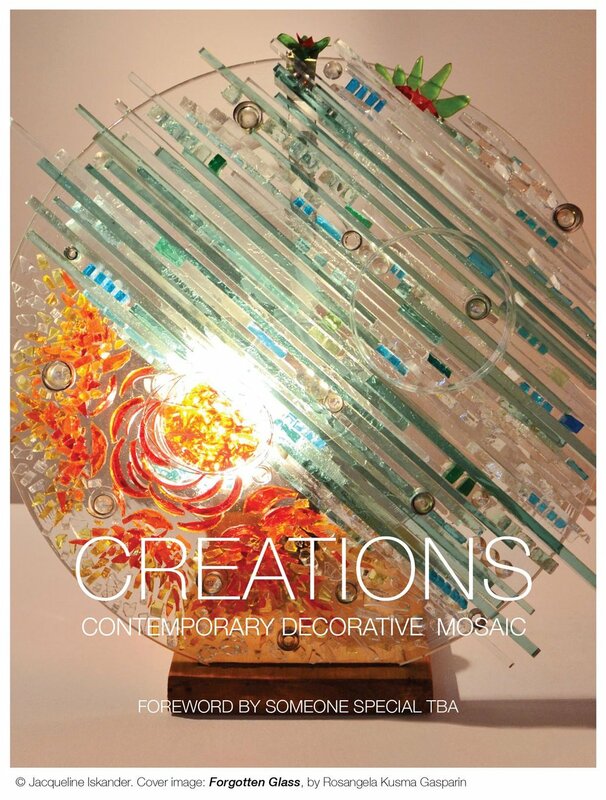 Do you want your work to be regarded as mosaic fine art? 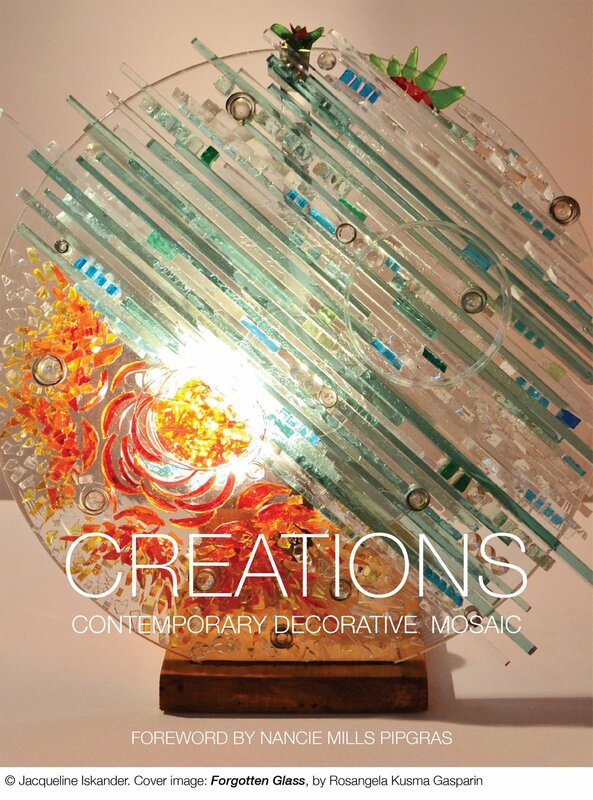 Do you have an idea of what is and is not mosaic fine art? Do you label your mosaic birdhouses, stepping stones, and candle holders fine art creations? In any profession, for your work to be elevated to a high status, a good degree of mastery in your medium is required. Art is no exception. 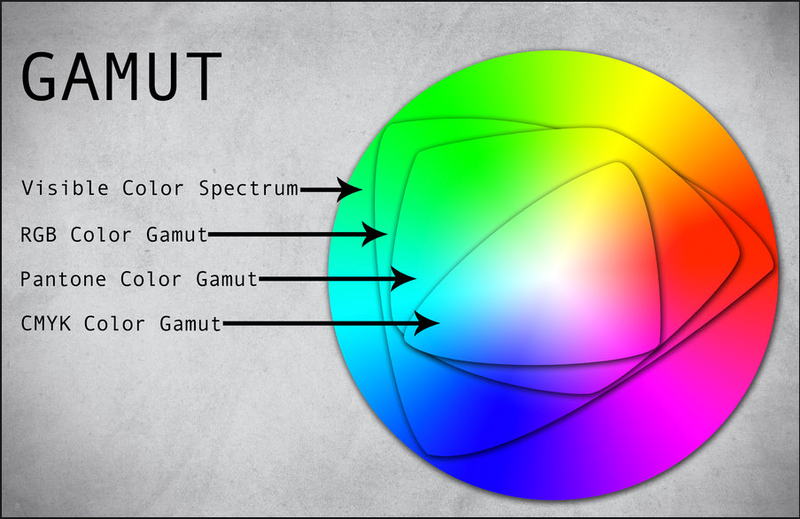 Do you understand the technical aspects of your medium? Does your work exhibit a good degree of technical mastery? If you have not achieved a good degree of technical mastery, do you still call your work fine art? It probably does not matter what you call your business or your website or your Facebook business page. If you know what your work is, if you are clear on what you are creating and why, the name that you choose is not nearly as important. If your work is stunning and true and fine, your company could be called This Is Not Fine Art, and your work would be still known as fine art. Having said what I said in #8, I personally think that if your art is serious, your business should have a serious name, whether it is your own name or not. There is something in a name, and certainly when a name is all that a potential gallery or buyer has in front of them. Just Jackie's Mosaics conveys a different weight than does Jacqueline Iskander, or even Jacqueline Iskander Mosaics. Over the years, I've been able to observe the evolution of mosaic as a fine art, and it has been quite remarkable and exciting. I've also observed, with frustration, a lack of discernment in various areas and levels of the mosaic community, from individuals to organizations. This lack of discernment, while understandable to some degree, considering the relative newness and speed with which mosaic has moved, is also a hindrance to it finding its place in the fine art world. This lack of discernment, while played out in public, serves to perpetuate itself, reflecting poorly on the medium as a whole, impeding its elevation. This is the end of my treatise. Thank you for listening. I was talking about decorative mosaic, and how I consider the mosaics on the left and right above to be decorative art, but not fine art. If you feel yourself on edge a little (or a lot) after my mention of fine art, please review #1 and #2 of this ongoing discussion, which will provide a context. Regarding decorative art, in no way do I feel it is in any way less than any other kind of art. Absolutely not. But, in the context of this discussion, I am clear that it is not fine art. Likewise, I would say the same thing about fine craft. Let's not diverge into defining what is and is not fine craft. But getting back to my previous statement about the decorative mosaic on the right flirting on the edge of being craft, I should explain that and get it out of the way. Think of craft and you think of furniture shaped by Sam Maloof, of handmade clothing flaunted at Renaissance Fairs, of everything made before the Industrial Revolution. Think of art and you think or War and Peace, a Beethoven concerto, the Mona Lisa. Both disciplines obviously yield good things, valuable things, sometimes tangibly useful things, and at first pass the distinction between them seems perfectly clear. But is the Mona Lisa really art? Well then, what about an undetectably perfect copy of the Mona Lisa? That comparison (however sneaky) points up the fact that it's surprisingly difficult, maybe even impossible, to view any single work in isolation and rule definitively "This is art" or "This is craft." Striking that difference means comparing successive pieces made by the same person. Yet curiously, the progression of most artists' work over time is a progression from art toward craft. In the same manner that imagination gives way to execution as any single work builds toward completion, an artist's major discoveries usually come early on, and a lifetime is then allotted to fill out and refine those discoveries. As the Zen proverb suggests, for the beginner there are many paths, for the advanced, few. At any point along that path, your job as an artist is to push craft to its limits—without being trapped by it... The difference between art and craft lies not in the tools you hold in your hands, but in the mental set that guides them. For the artisan, craft is an end in itself. Yes, I will concede that the mosaic on the right could be considered craft—fine craft, if I do say so myself. And it is also falls within the general category of decorative art. That's that about craft, and I'm not going to distinguish between art and craft within a decorative or functional sense again. The thing that I think is relevant, within the context of this discussion, is the distinction between what might be fine art, and what might not be, and why this matters with regard to the struggle of elevating mosaic art to a fine art status. This post continues a conversation that is based on the belief that mosaic art is not fully accepted and embraced as a fine art by the broader art world. The conversation began with the post What's In A Name? There are several reasons why mosaic art is not fully—or perhaps at all in some places—accepted as a fine art. Historically, mosaic was primarily functional, even in the telling of stories or witnessing of events. Then, it began taking on more decorative and pictorial responsibility as well, but was still a covering, more or less. 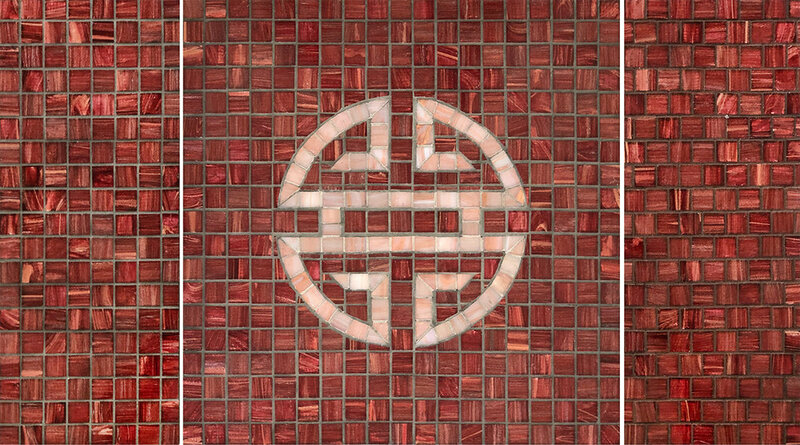 There is no question as to the relevance of mosaic as a functional or decorative medium. Mosaic as a fine art medium is a contemporary idea, and its relevance as such is not settled. Mosaic, in and of itself, is not automatically art, anymore than paint or clay or any other medium is automatically art. Art is expressed with a medium, but it is not the medium. Likewise, art is not an automatic result of creative exercise. While I accept that art is in the eye of the beholder, within the context of this discussion: if I desire for my mosaic art to be accepted as that thing called fine art, there is obviously a more objective standard to which I am aspiring. Clearly, I'm making a distinction between decorative mosaic art and that peskily nebulous category of mosaic fine art. A friend of mine used to say about art: Isn't it all decorative? In the broadest sense, I think she has a point. But within the context of this discussion, we have something in mind when we are saying fine art. I'm not going to try to define what that is so much as I might just try to define what it is not. Yesterday, there was an interesting discussion taking place in the Mosaic Mentoring group on Facebook. The original poster questioned the wisdom behind how we name our mosaic businesses. Specifically, she seemed to make a connection between how we name ourselves and how mosaic, in general, is accepted—or not accepted—within the larger art world. To this point, I've included three mosaic images above and ask: Which one of these is not like the others? Hold that thought as I will get back to it shortly. Do you believe that mosaic art is not fully accepted/embraced as a fine art by the broader art world? If your answer to this question is No, then this discussion is probably not relevant for you. What do you think are the reasons for mosaic art not being fully accepted/embraced as a fine art by the broader art world? My answer to the first question is Yes, so I'll continue. My answer to the second question is: Several reasons that I would love to discuss, but I don't think the name we choose for our businesses is necessarily one of them. So, now I am going to explore some things, based upon a belief that there is a struggle for mosaic art to be generally accepted as a fine art. Again, if you don't care about this question, this conversation is not meant for you. I'll talk about this in my next post.